You may wonder how tint works to cool your car. Just what factors combine with window tint to make your car more comfortable? This page will explain it. 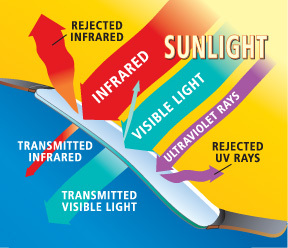 Without Window Tint, the Sun will absolutely cook you through your car's untreated (tinted) glass. Many people have no idea just how window tint keeps a vehicle cool. All they know is window tinting looks cool. They see it on their friends' cars, and hear a lot of talk about how adding window tint to a car reduces the heat from the sun. But, how window tint actually is able to keep passengers cooler while traveling is a mystery to most folks. If you have felt this way, you are not alone. You may actually be surprised to know that there really is science behind window tint that makes it so desirable. For many years the only film available was what is known as "dyed polyester film". Researchers discovered that by varying the degree of darkness in polyester film, an interesting thing happened. The darker the film, the more heat was prevented from coming into the cabin of a vehicle with window tinting. This was quickly labeled "the absorption effect". The same principle is at work when we wear dark clothing in the winter. The darker the clothing, the warmer we feel. This is because dark colors actually absorb heat. Therefore, it was determined that darker window films were actually more effective at making things feel cooler on a hot summer day. However, the degree of darkness was not the only thing making tinted vehicles feel better than non-tinted vehicles. Another factor was at work. Left standing still, a vehicle's windows still allow A LOT of heat to build up inside by the end of a long hot summer day. This is what is known as "thermal buildup". "Thermal buildup" is that blast of heat everyone feels when they open their parked car after it has been sitting on a blacktop parking lot all day long. NOTE: NOTHING can prevent "Thermal buildup"
Researchers determined that the movement of air across a vehicle's windows actually pulled the absorbed heat away from the glass while the vehicle is in motion, effectively preventing the heat to enter the vehicle and resulting in a more comfortable experience for the passengers. However, both DARK tinted windows, AND movement through the air have to be combined in order to produce the desired affect. Many involved with Law Enforcement became concerned about the inability to see the occupants of a vehicle during a traffic stop. This put the safety of officers at risk when walking up on a vehicle with extremely dark tinted windows and thereby increasing the danger of an already stressful situation. In some high crime areas of the country, some officers were actually shot while approaching a vehicle with extremely dark tint. Laws were passed in many states to limit the degree of darkness allowed with window tint. In these states, window tinting was less than effective because DARK tint was no longer allowed. Owners driving vehicles with extremely dark tinted windows made posed a safety threat to themselves and others. Many drivers objected at the use of extremely dark tint because it reduced their ability to see the driver of an approaching vehicle. This became a problem since the driver's actions in the approaching vehicle could not be seen or anticipated. Another safety concern became apparent with the drivers of deep tinted vehicles. With deep dark tinted windows, driving in many conditions became dangerous or - in some cases - impossible. Deep dark tint restricts the driver's vision at night, during fog, and during downpours of rain. Something had to change, so it did! Enter Ceramic Window Tint - The Solution! 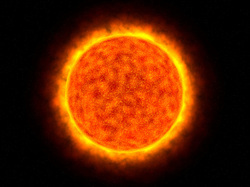 A new technology has emerged in recent years that has answered the above issues and effectively provided a barrier to the Sun's damaging and extreme temperatures. Now driving is a pleasure again! Our Nano-Ceramic Window Tint Stops Heat Dead in its Tracks While Letting in the Light!! Ceramic Window Tint combines the effectiveness of extremely dark tint with the clarity of a LEGAL tint that satisfies law enforcement while keeping the occupants of the vehicle incredibly comfortable and safe from the Sun's harmful rays. Now with this amazing new technology, no one is forced to sacrifice driving comfort to satisfy law enforcement or tint their windows and "take their chances" with the police. Ceramic Window Tint is so effective, even our nearly clear (70%) film blocks out more heat than the DARKEST DYED FILM on the market!! 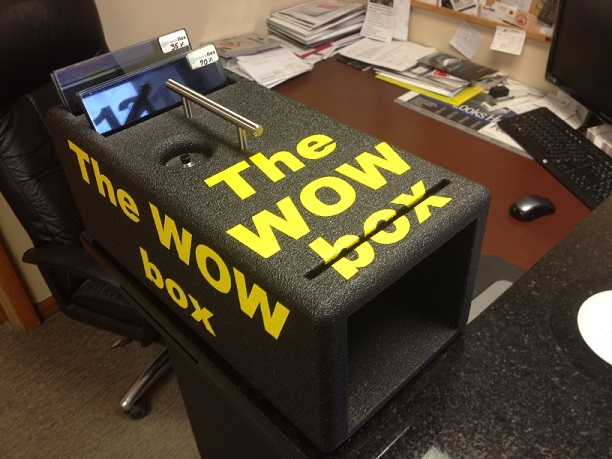 This Little Box Will Blow Your Mind!! If you have never before heard of Nano-Ceramic Window Tint, but would like to check it out for yourself, please feel free to stop by our shop and see for yourself how this amazing film works. Once you place your hand in front of an IR lamp with the IR blocking ability of Nano, you will be blown away!